Greek Fir Honey, Meleagros, is collected in the virgin fir forests of Pindos sierra, near Pertouli, at an altitude of over 1200m. away from intensive farming or other possible sources of pollution. It's dark red colour, delicate aroma and characteristic caramel flavour have made it stand out among the most demanding consumers worldwide. Meleagros Fir Honey is especially rich in minerals (potassium, magnesium, phosphorus, iron, etc.) and it does not crystallize due to its very low glucose content. Fir honey production in Greece is less than 5% of the total, making it one of the rarest varieties in the country. Greek Thyme Honey, Meleagros, is collected with great care from carefully selected thyme fields in mainland Greece. Our Thyme Honey combines an intense aroma and light amber colour with an exceptionally pleasant flavour. Thyme Honey stimulates the immune system as it has been proven to have anti cough, antiseptic and anti-cancer properties. It crystallises within 6-18 months after harvest. 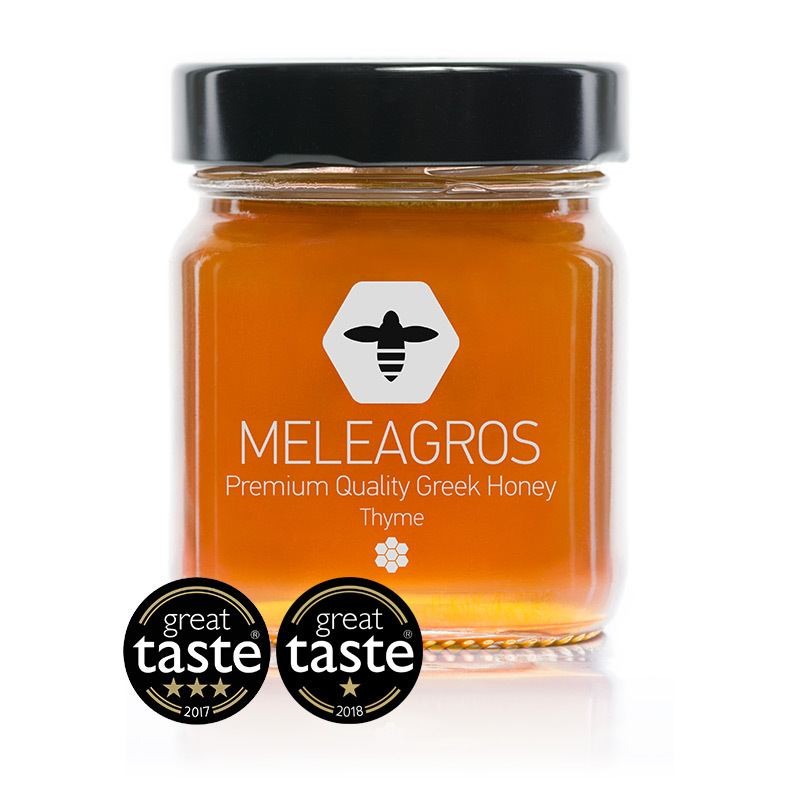 Meleagros Thyme Honey won a 3-star award in Great Taste Awards 2017 and an 1-star award in 2018 and has been characterised as having: “A lovely golden colour, filtered to the right level – not clear; enticing aroma followed by a building, lilting flavour of thyme that fills the palate and lingers on. Sunshine in a jar”. 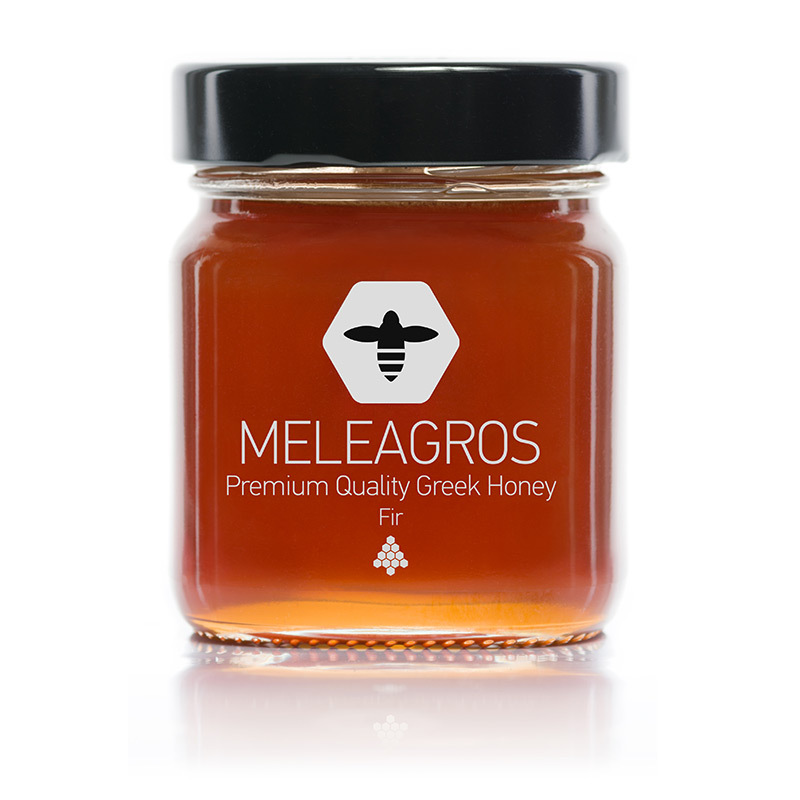 Greek Forest Honey, Meleagros, is collected at the foothills of Mount Kissavos, an area abounding in oaks, horse chestnuts and linden trees as well as a wide variety of wild herbs and flowers. The unique characteristics of the region give our honey its distinctive dark colour along with its exquisite refined flavour. Meleagros Forest Honey is high in nutritional value and has strong antioxidant properties. It crystallises 8 months after harvest. 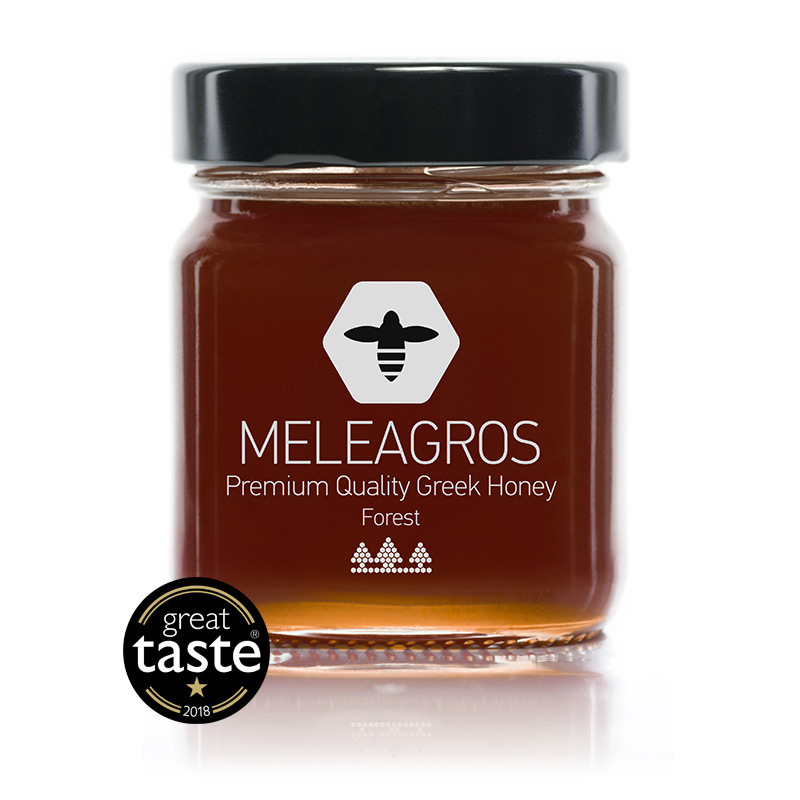 Meleagros Forest Honey won an 1-star award in Great Taste Awards 2018.